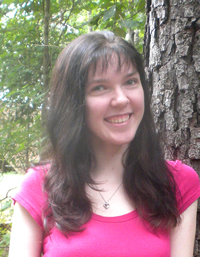 This week I’d like to introduce you to a new author Victoria Shockley. Victoria is a freelance writer and editor, the assistant acquisitions editor for Wandering in the Words Press, and a writing/editing intern for the North Carolina State University College of Engineering. She is working on a degree in English at NCSU (with a concentration in language and writing) and plans to continue to graduate school. As Victoria has yet to complete her novella, there is no review this week. Before selecting English as my major, I actually changed my mind a bunch of times. I originally applied to a design school because I wanted to be an artist, but I was rejected (I thought I had the talent, but the admissions officials thought otherwise!). I then changed to psychology, but discarded that idea when I realized being a therapist wasn’t a good fit for my personality. I finally chose English with a concentration in language and writing, and I’m very happy with it! My best review has probably been from Anora McGaha, the founder and editor of Women Writers, Women Books (booksbywomen.org). I served as the assistant editor of the magazine until November of 2012, and she said that only twice in her career has she worked with someone as motivated and efficient as myself. She then complimented me on all of my contributions to the magazine and ended by saying I’ve done an outstanding job, and she will miss working with me. It was a touching review! Yes! I can be a little OCD, and that can take up a lot of time and mental energy. I like to make sure my car is parked evenly between both of the lines, that my socks always match, and my alarm is set in a 15-minute increment (if I accidently pass “15” or “30” and get to “16” or “31,” I have to go through the minutes all over again). I also like everything to be very clean and can’t stand crumbs or animal hair on anything, so I have to keep one of those lint rollers in my bathroom and bring Purell wipes with me in my purse wherever I go. For one thing, I make lists. If I can write everything down and see it on paper, then I can plan out what needs to get done and when so I can prioritize assignments. And some days I have absolutely no time for myself – no “me” time – so I find other ways to wind down. If I have to edit a manuscript, I’ll do that at night so I can lie in bed and relax while reading. If I’m feeling stressed out, I’ll do some social media work and take my mind off it. I’m still doing work, but at least I’m getting to relax a little. I’ve actually never had to do this, thankfully! Because of my semi-OCD tendencies, I end up being extremely strict with deadlines. I haven’t missed one yet, and I plan to keep it that way! Honestly since I’m a first-time author, promoting my novella at all feels strange! I never imagined I’d be an author at all; submitting my manuscript to a publisher was completely random, and I never expected it would be accepted and then published. Whenever I tell people I’m 19 and an author, they’re always really surprised.